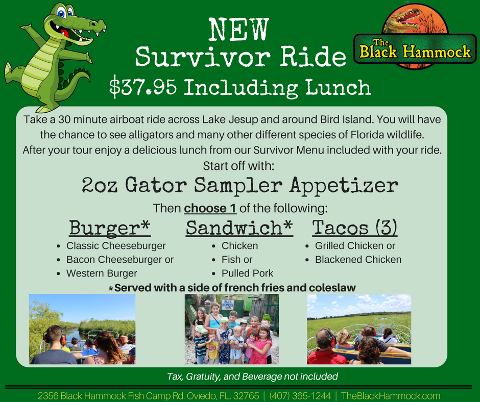 When you purchase our Survivor Ride you will receive a 30-minute airboat ride around Lake Jesup and Bird Island and after enjoy a restaurant catered lunch from our Survivor Menu. 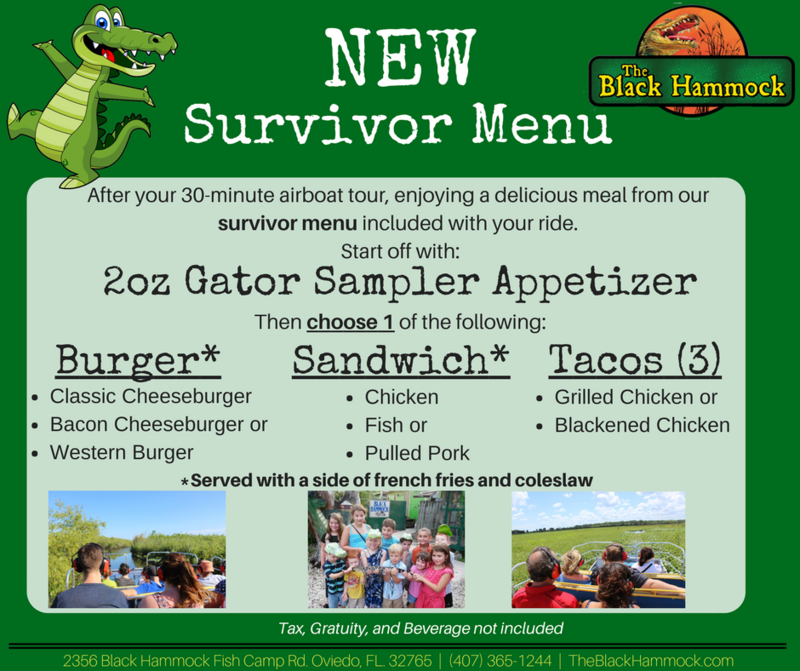 Start your meal with a Gator Sampler appetizer and for your entree choose between a burger, sandwich, or chicken tacos. Rides leave every day between 9am and 5pm.